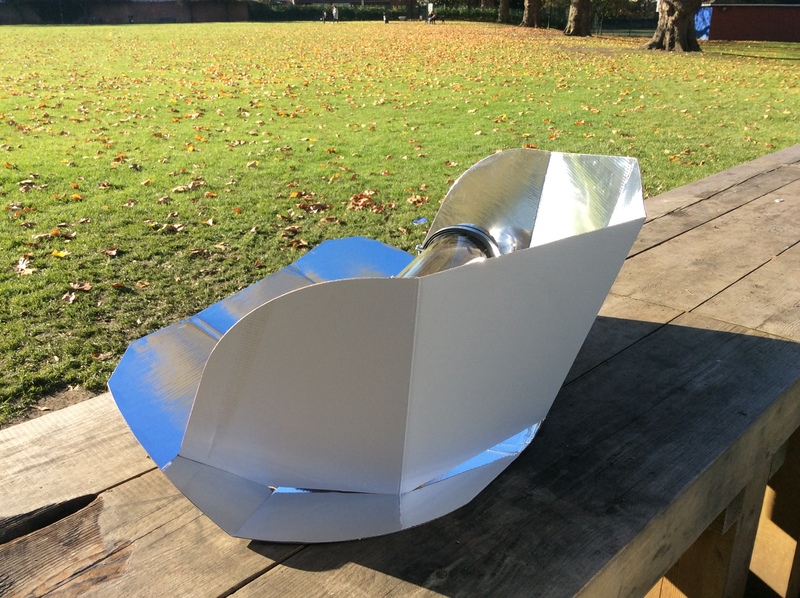 Designed in the UK – The SLiCK Low Sun Gorilla is free of greenwash, gimmickry and plastic, delivering an efficient, practical and robust solar cooker for British and Northern European use. 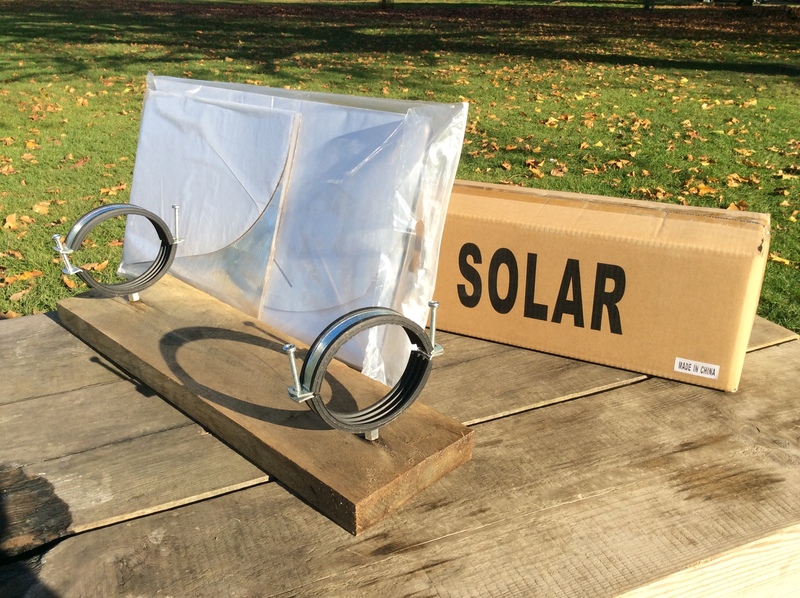 We’re pleased to present the Low Sun Gorilla solar cooker. 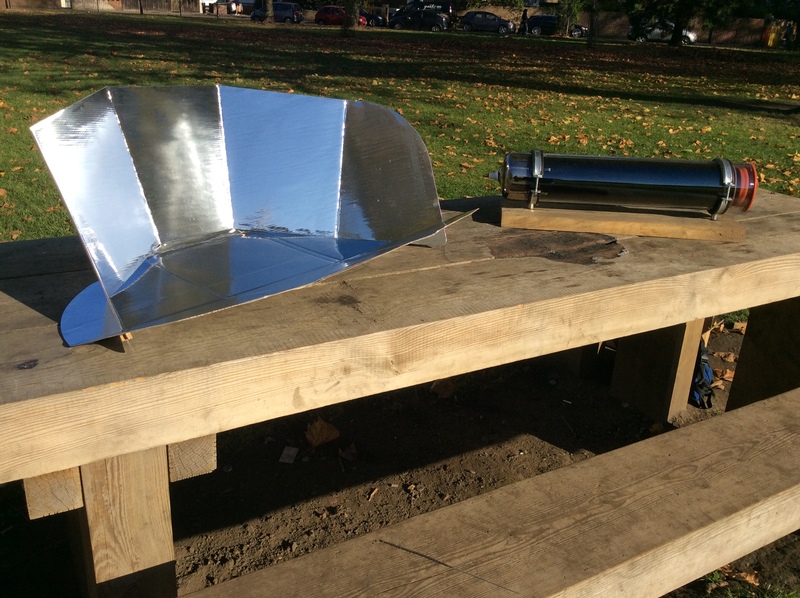 UK testing by SLiCK confirm that the LSG can provide zero fuel cooking options for local use. 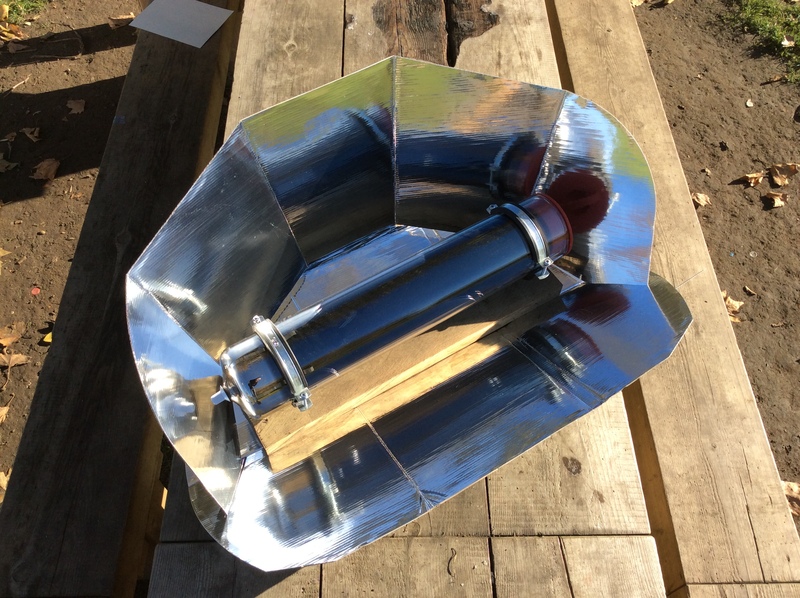 The focus is simplicity with efficiency and we’re using local materials where we can, to deliver a long lasting solar cooker. 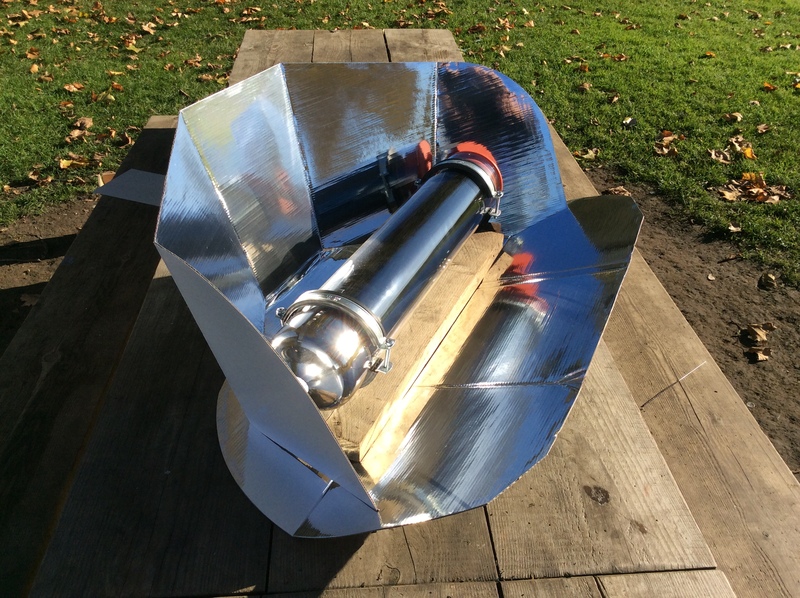 The Rand tube – the nerve centre of the Gorilla and the fattest solar vacuum tube available in UK/Europe. Thick, strong pyrex style glass and a super insulated core. 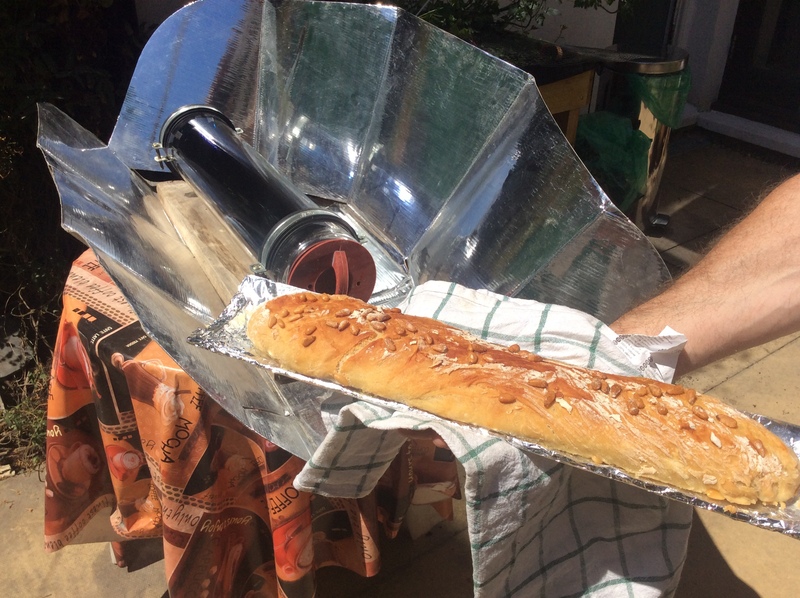 Simply the most efficient converter of light into heat. Includes a heat resistant silicon stopper. Being glass the Rand tube will last indefinitely under the variable UK weather. The Base – The Rand tube is glass, and will break if badly handled. Its critical to avoid accidental movements, rolling, knocks and drops. 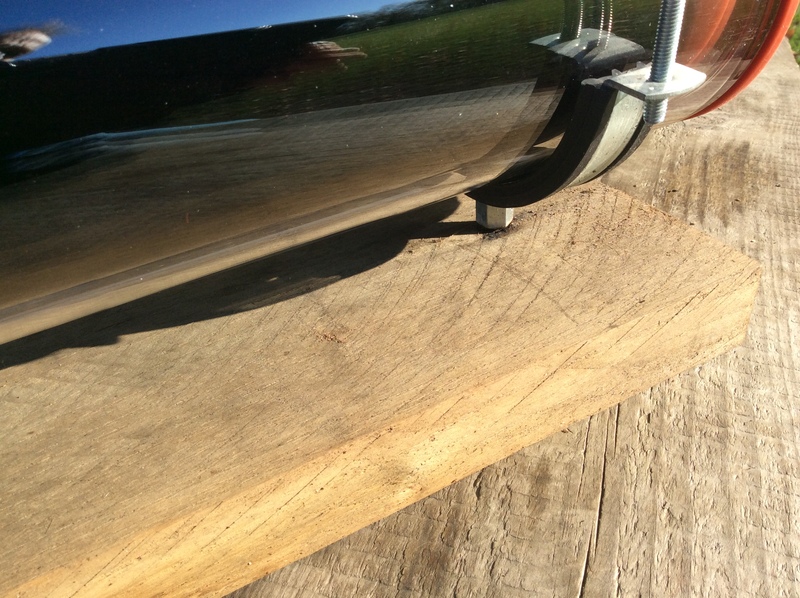 We use sustainably harvested, rough cut chestnut plank’s from the High Weald of Sussex. The weight of the chestnut keeps the centre of gravity low and this prevents overturning due to wind or food contents. Its an attractive material naturally tolerant of UK wet conditions. It doesn’t need preservative treatment and due to its thick section, if allowed to dry it will last indefinitely. The tube itself is mounted in simple engineering fittings called Munsen Rings. Made in the UK they are lined with rubber, ensuring glass and metal are isolated at all times. The threaded connectors slip into pre-drilled plank holes with a simple, tight fit. 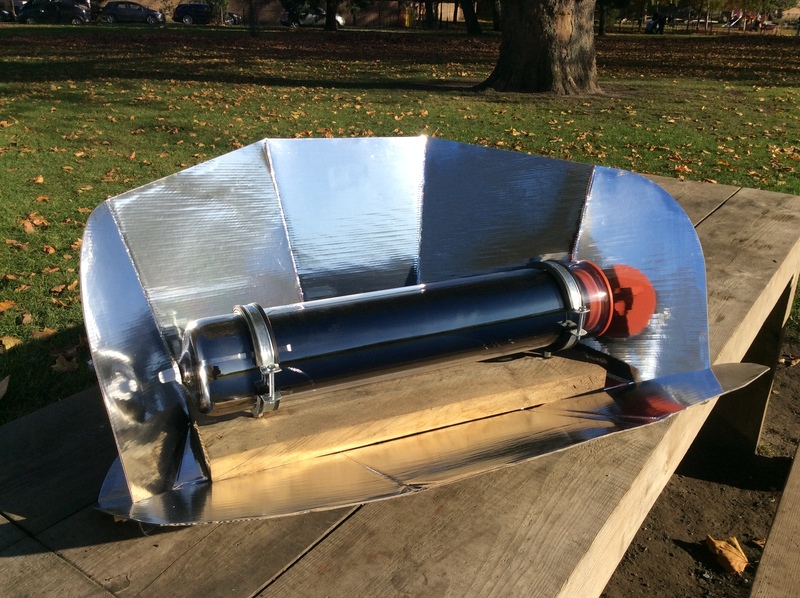 CookIt Solar Panel Cooker – A standard CookIt is included as the basic reflector. The Rand tube heats consistently under good sun, and is important to maximise the UK sunlight falling on the tube. 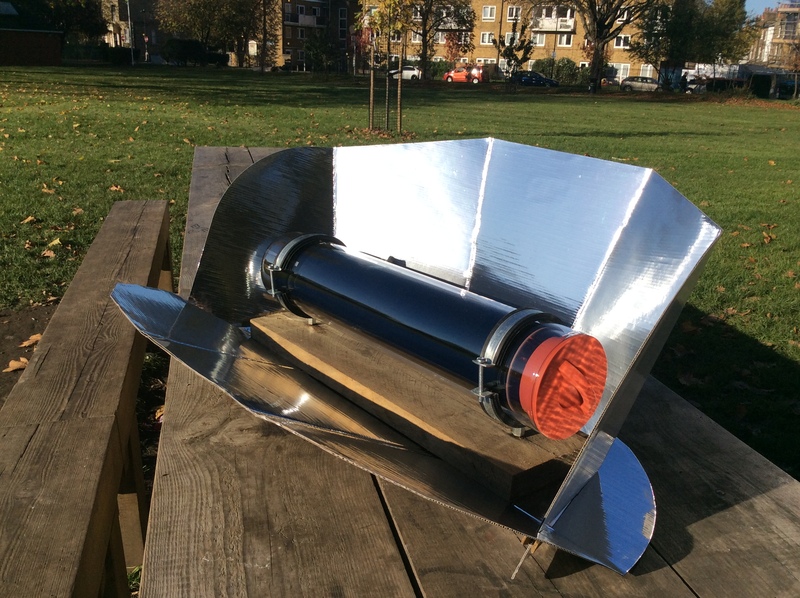 The bigger the reflector the more heat can be generated. However overheating can be an issue, as can light focus on a single point of the glass. Our happy medium is to use a basic panel cooker to heat the tube. The CookIt is made from card, so won’t survive too many rain showers. With care it will last for many seasons. It can be recycled, recovered or even used as a template to make CookIt offspring. It folds flat for easy indoor storage. Thats it. Simplicity and functionality are the core of this practical design. 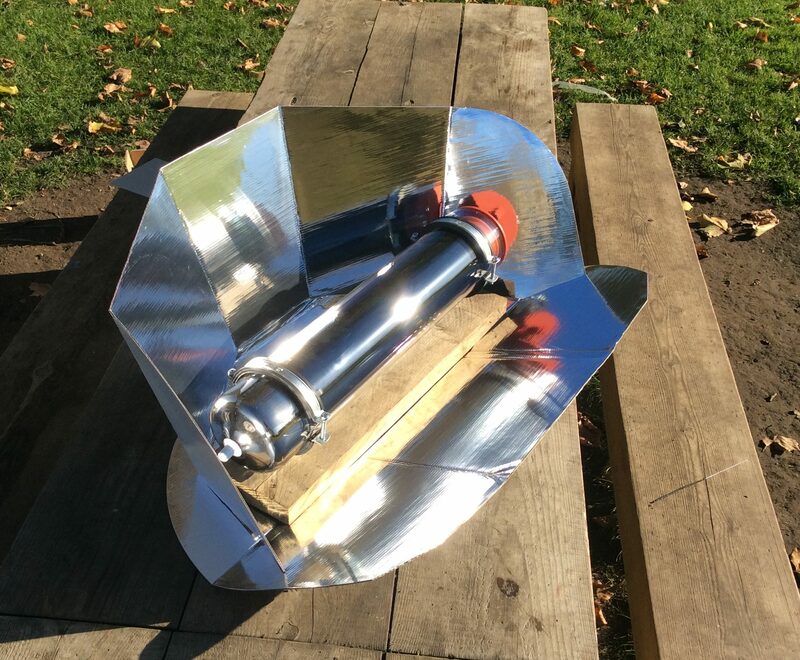 The Rand tube can easily survive being left out in the garden, it can even survive hailstones – but we always advise putting it away and/or covering it against sunshine when not in use. Please note: we dot yet supply inserts or cookware. 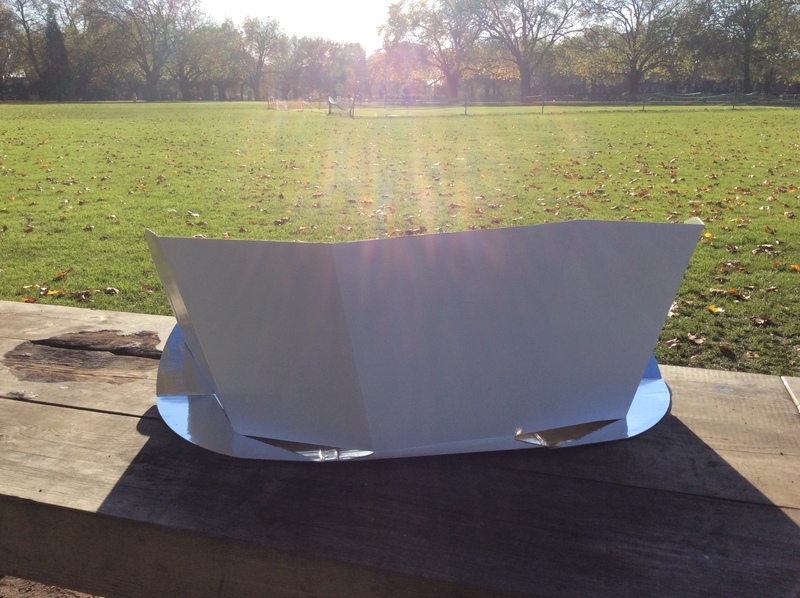 These can be fashioned easily, or aluminium takeaway food trays can be used.